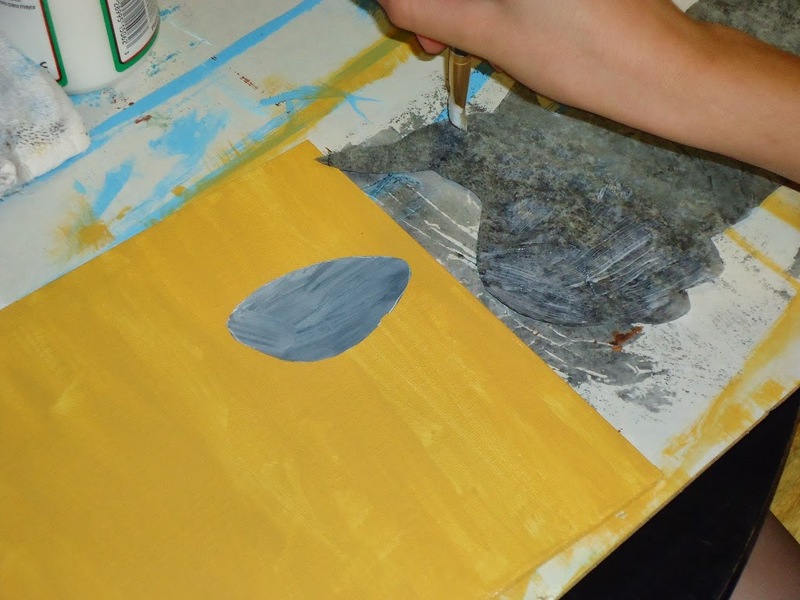 This week we’ve done something a little different for artist study. 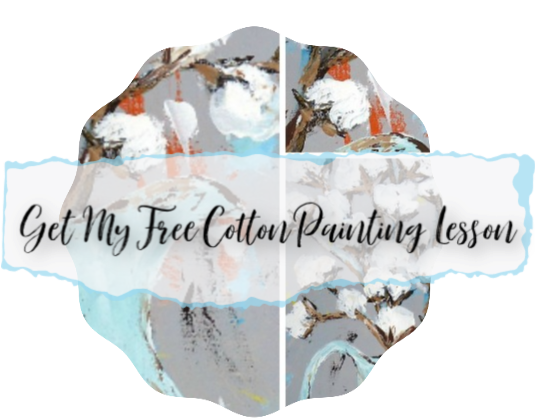 In the past, when I chose an artist it has been someone like Monet or Degas. Someone who lived long ago and is considered a historical figure. Well…I thought about how much I really enjoy modern artists and more specifically….children’s book illustrators. 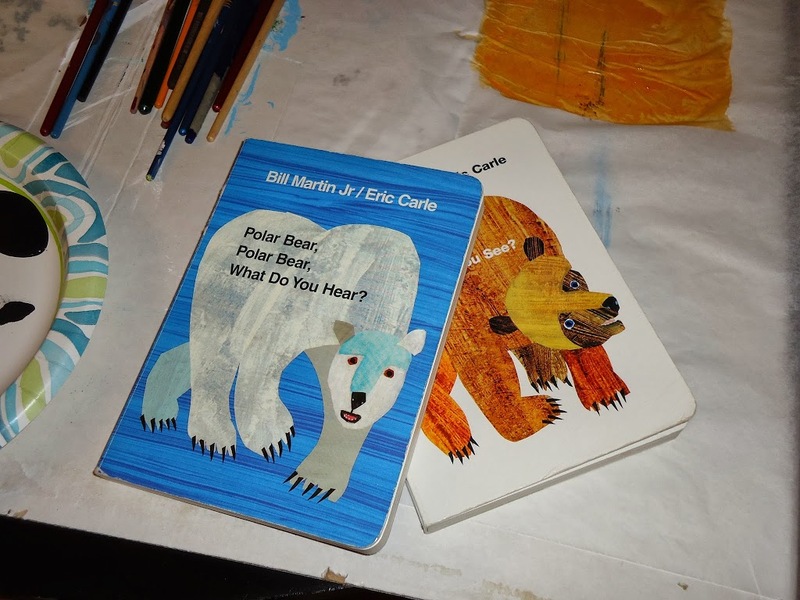 I love the work of Eric Carle! Some of my children’s favorite childhood books are The Very Hungry Caterpillar and Brown Bear, Brown Bear, What Do You See? 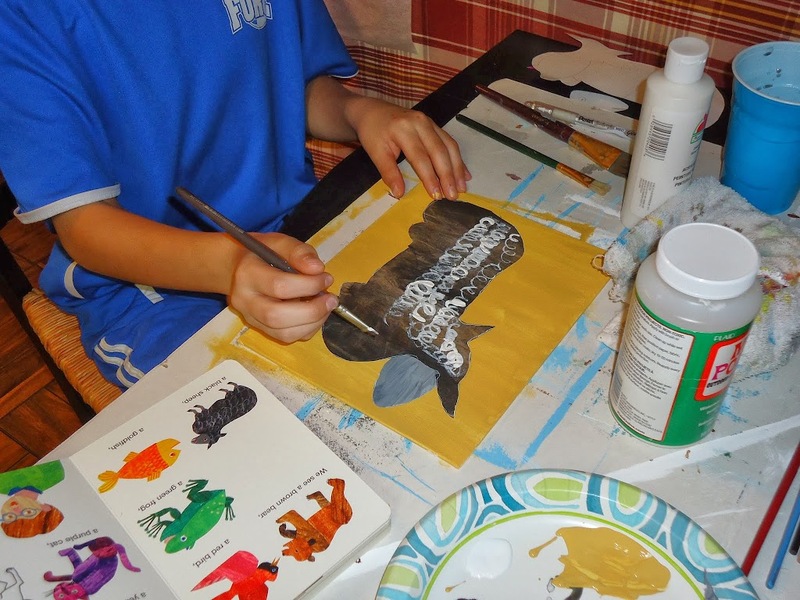 Eric Carle’s collage-like animals have turned out to be one of the best art projects that we’ve ever done. We started out watching some YouTube videos about his technique. 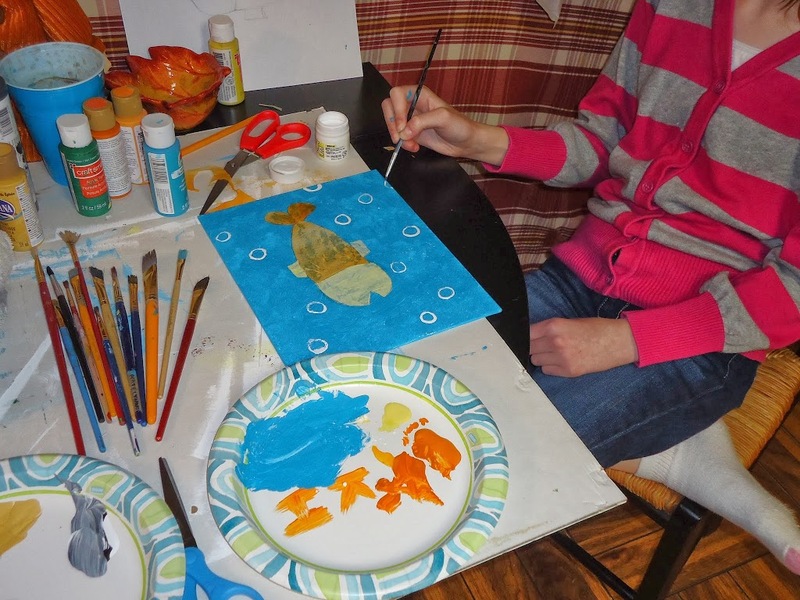 He paints tissue paper in all different shades of colors, and then uses cuttings from the paper to create his animals. 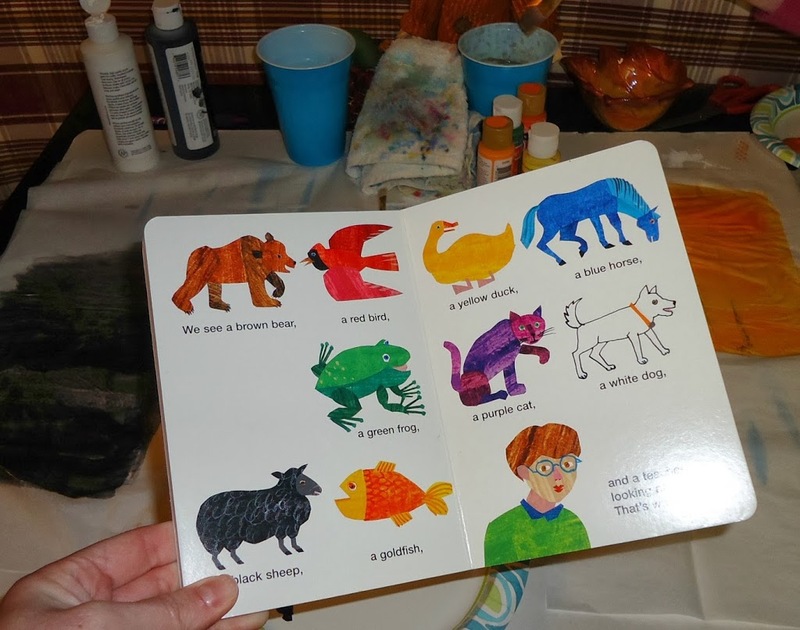 We then chose animals from our own books at home and got to work. 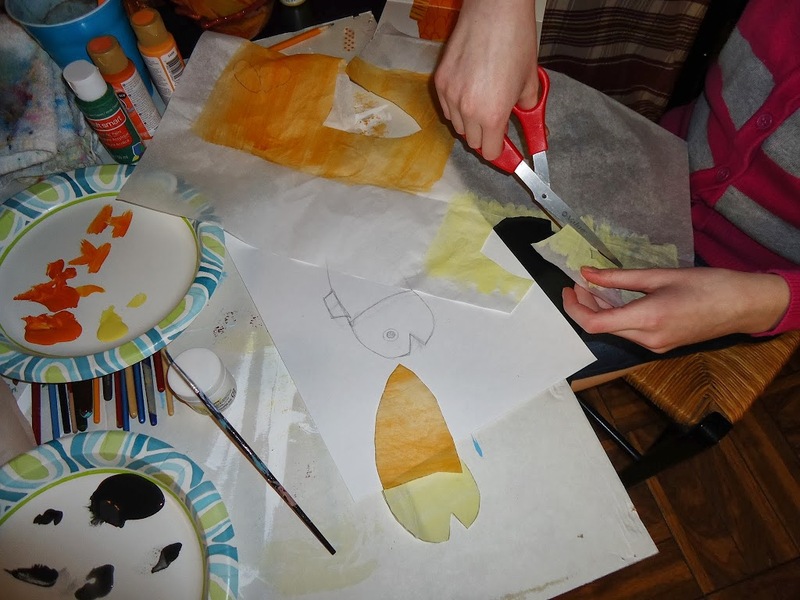 Sister chose the goldfish, and began painting her tissue paper shades of yellow and orange. 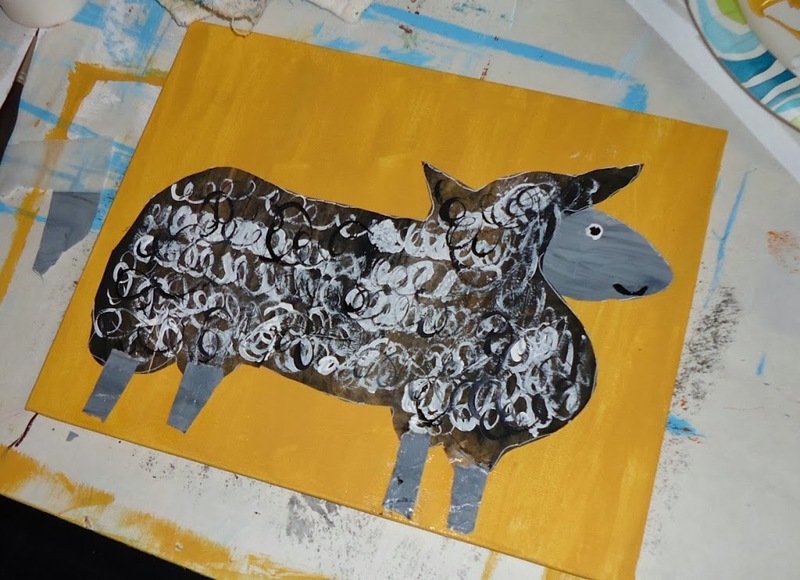 Brother chose the sheep and painted his tissue paper black and grey. 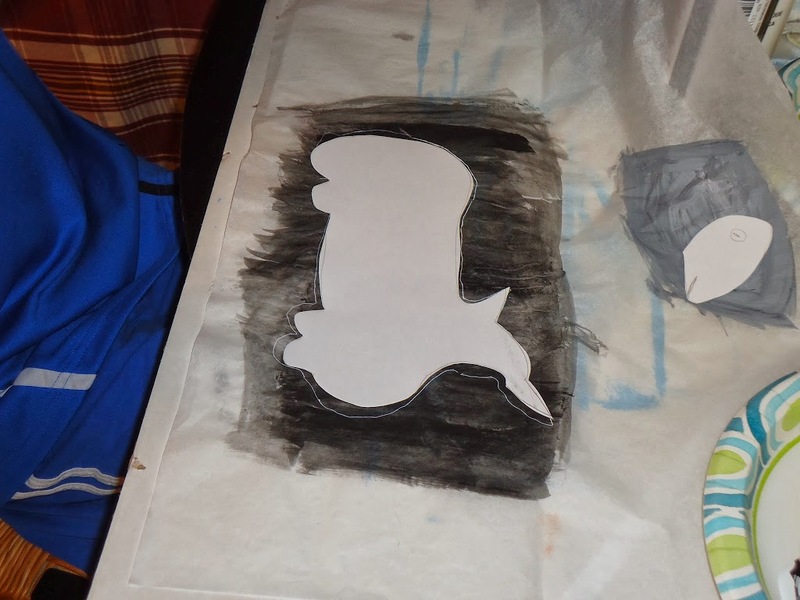 After the paint dried, they drew a sketch of the animal and cut the tissue paper to match the shapes on the drawings. I helped a little with this part because it was a bit of a challenge. 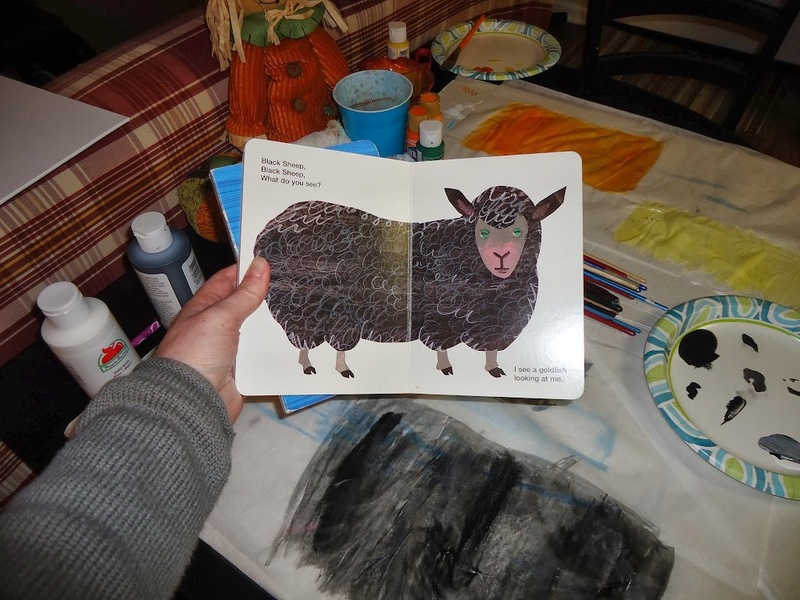 Brother’s sheep template that we made from card stock worked really well. 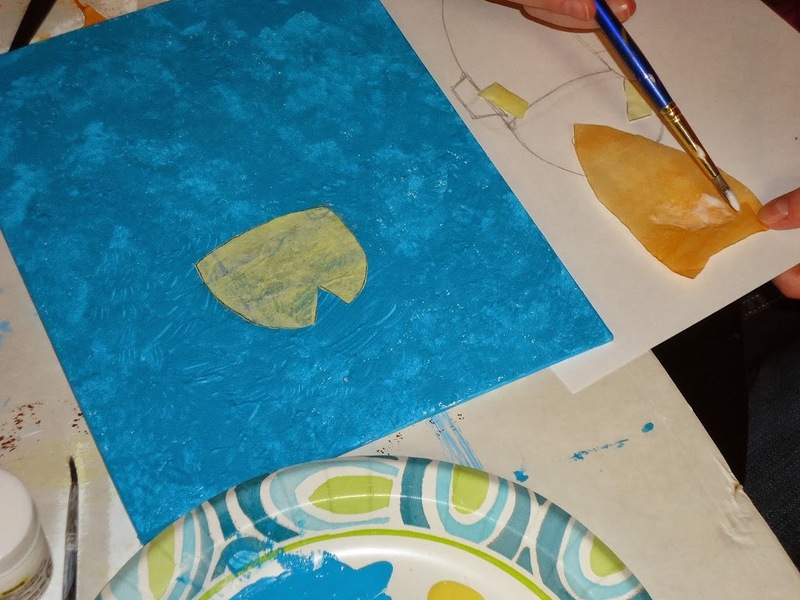 and apply the tissue using Mod Podge. 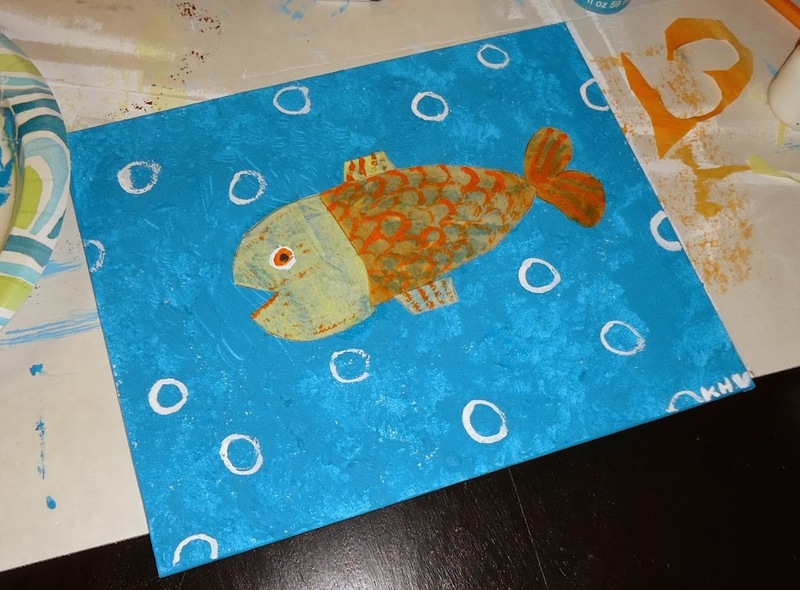 After they were stuck on, the kids did some touch up work and added some bubbles and wool. And….here they are!! Our Eric Carle inspired animal collages. Cute, Cute, CUTE!!! Hope this inspires someone else too!! 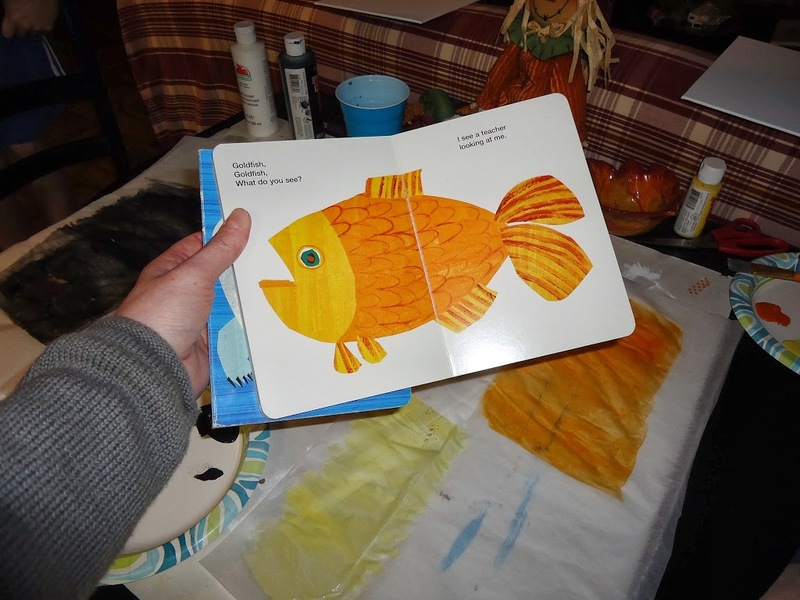 We like Eric Carle’s work as well! This is an awesome idea! Thank you for sharing!